Which Country Did Albert Einstein Decline to Be President Of? Albert Einstein declined an offer to become the president of Israel. The first president of Israel, Chaim Weizmann, made the offer in 1952. Einstein stated that the offer was deeply moving to him but stated that he lacked the necessary experience and skills. Einstein also believed in productive cooperation between Jews and Arabs and never held strongly Zionist beliefs, although he maintained a deep sympathy for Israel. The Israeli offer to Einstein included freedom and facility for his scientific research. The decision was not an easy one for Einstein to make. In declining the offer, he commented that his strongest human bond was to the Jewish people. What Was Albert Einstein's Middle Name? What Was the IQ of Albert Einstein? Why Was Albert Einstein so Smart? How Did Albert Einstein Change the World? What Was Thomas Gage's Family Life Like? Which President Served the Longest Time in Office? What Impact Did the Radio Have in the 1920s? How Do You Summarize the "I Have a Dream" Speech? What Is Interesting About Albert Einstein's Brain? 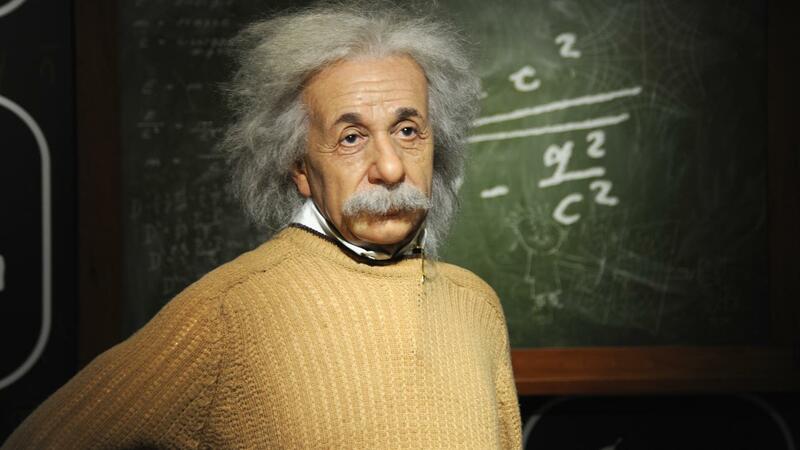 What Are Some Key Albert Einstein Facts for Kids? What Did Albert Einstein Invent?